New images of deep space are helping to shed light on dark matter, the invisible material that accounts for more than 80 per cent of all the matter in the Universe. The images are the first from an international collaboration, involving Durham University, which is seeking to understand the amount of dark matter in the Universe and its distribution in groups of galaxies – such as the group that houses the Milky Way. The study hopes also to improve scientists' knowledge of how galaxies are formed. Being able to explain dark matter, which is little understood, would represent a major scientific breakthrough, the researchers said. The team analysed images of more than two million galaxies, typically 5.5 billion light years away. They combined these unique images with the identification of 20,000 groups of galaxies, that are located between the Milky Way and these more distant galaxies. 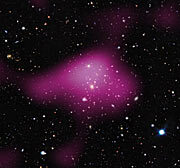 Combining this information enabled the team to measure the influence of dark matter on the shape of background galaxies by examining how light from those galaxies is distorted by the gravitational pull of massive clumps of dark matter in which groups of galaxies reside. The researchers found that groups of galaxies typically contain 30 times more dark matter than the visible matter seen in stars. 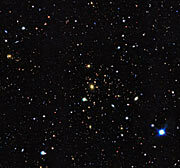 The research used images captured by the VLT Survey Telescope at the European Southern Observatory in Paranal, Chile, by the Kilo-Degree Survey (KiDS), and distance information of foreground galaxies measured at the Anglo-Australian Telescope in Australia, by the Galaxy And Mass Assembly (GAMA) survey. 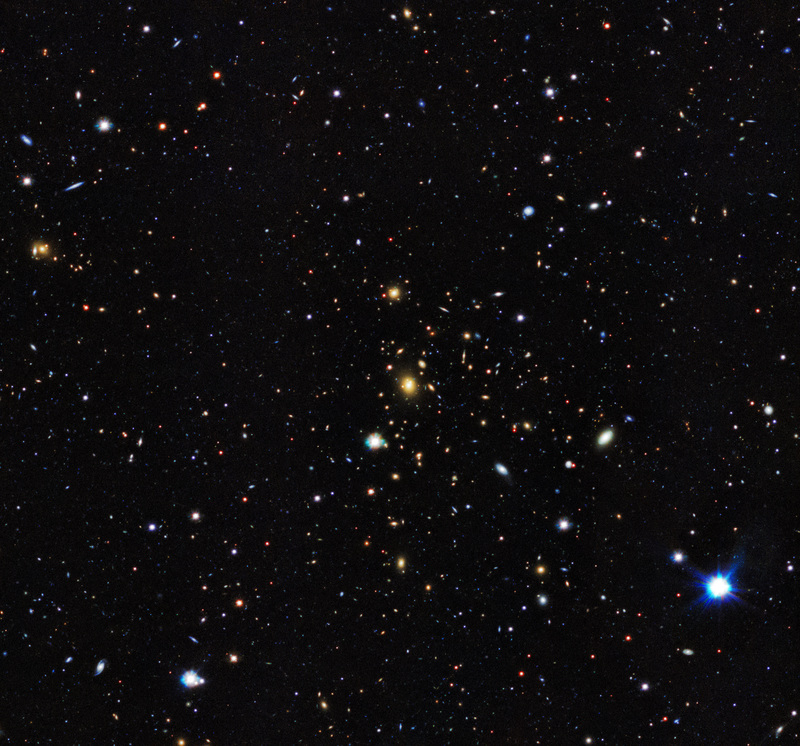 GAMA is an international collaboration and the work to identify groups of galaxies is co-led by researchers at Durham University and the University of Western Australia. 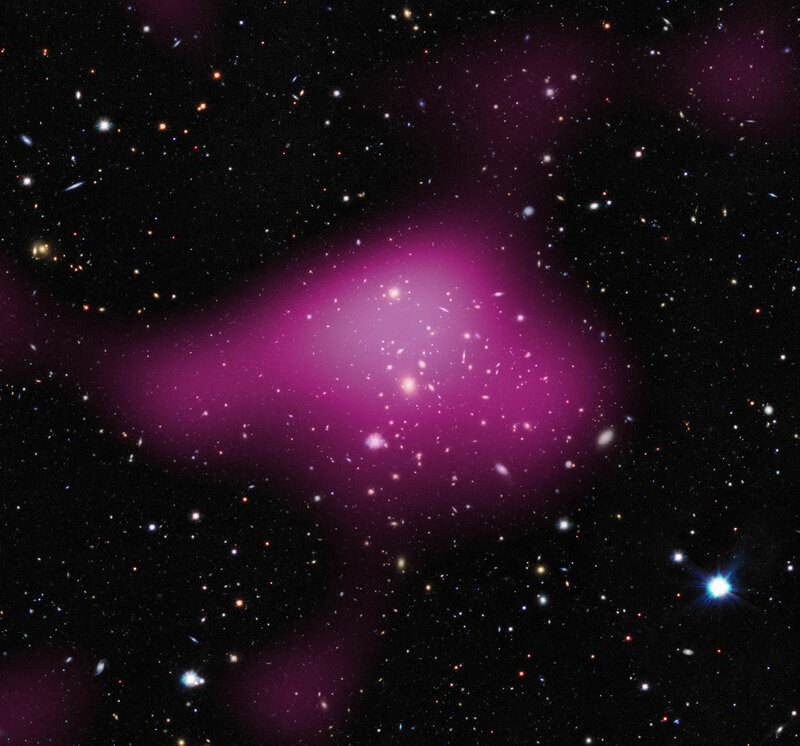 The mass mapping study of more than two million galaxies is led by Leiden University, in the Netherlands, and was carried out in close collaboration with scientists from Durham University and University of Western Australia, while relying on a significant collaborative effort from many partners, including Edinburgh, Oxford, UCL universities in the UK and scientists based in Italy, Germany, and Australia as well. The findings are just the start of a major programme to exploit the immense datasets coming from the survey telescopes and the data are now being made available to scientists worldwide through the ESO archive. Dr Peder Norberg, Royal Society University Research Fellow in Durham University's Ka href="http://icc.dur.ac.uk/">Institute for Computational Cosmology, and key investigator in the GAMA team, said: "The findings using a combination of GAMA and KiDS data are very encouraging. This is a first step towards better understanding the relationship between visible and dark matter, which is only made possible thanks to sophisticated instrumentation and the significant efforts of our international team of scientists." Dr Massimo Viola, of Leiden Observatory, in the Netherlands, who led the study, said: "We look forward to making many more discoveries about this most elusive of substances, dark matter, in the months ahead." The research has been accepted for publication in Monthly Notices of the Royal Astronomical Society. Durham University's part in the work has been funded by the Royal Society and a European Research Council Starting Grant.